Despite protests to the contrary from Ed Miliband’s media machine, Conservative critics suggesting he’s muddled or incoherent and even academic analysis suggesting he would radically change British foreign policy once in 10 Downing Street, evidence suggests business as usual on 8th May in a Miliband-led administration. Obama-like, Miliband says he opposed the Iraq war from his Harvard perch back in 2002, though he never appears to have gone on the record, unlike the White House incumbent. He told Jeremy Paxman how he ‘toughed it out’ over military intervention in Syria in 2014 yet his approach was based on the same underlying principles of the Cameron government – the best way to overthrow the Assad regime. Miliband supported military strikes on ISIS positions in Iraq to protect ‘Iraqi democracy’ – in reality a sectarian Shia-dominated anti-Sunni coalition that has ruthlessly supported the marginalisation of Sunni Iraqis, fuelling their support for ISIS. He supports Saudi war on Yemen, illegally attacking one side engaged in a civil war. He supported the Saudi regime in its suppression of Shia revolts against oppression in Bahrain during their uprisings during the so-called Arab Spring. Mr Miliband also supported the military interventions in Libya that illegally overthrew the Gaddafi regime and has led to virtual state failure there as well as increased power to political Islamists who declare their allegiance to ISIS. According to human rights groups, a third of the population has been forced to leave the country due to disintegration of law and order there since the intervention. 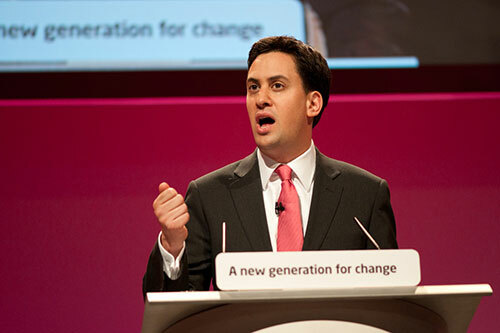 Miliband would continue pro-nuclear weapons policies and renew Trident at a cost of £80 billion over the next century. Twenty four of the 28 submarines that carry Trident missiles are American – Britain’s independent nuclear deterrent is American. Labour imperialism is nothing new – Gordon Brown, Tony Blair and Labour PMs all the way back to Ramsay MacDonald backed policies and principles in support of empire and imperialism. Martin Thomas’s Fight or Flight establishes that as the most significant principle of British, and French, ‘decolonisation’ – the empire was fought for until there was no choice but to negotiate and leave. As Labour leader Hugh Dalton noted about British power in India – ‘when they don’t want you, and you can’t squash them, then you had better get out’. An imperialist US secretary of state, Dean Acheson, noted way back in the 1950s that Britain had lost an empire but failed to find a role. He was both right and wrong. Empires can lose colonies but remain entrenched in unequal financial, military and trade relations with former colonies. Elites can lose colonies but retain imperial mentalities, steeped in the social institutions of imperial thought and practice, including the public school and established political parties – and continue to yearn for a global role, even if it’s behind the shield of the new American empire.